Want the secret to saving money when you do a load of laundry? It’s simple. With RainSoft water conditioning systems, the cleaner, purer water lathers detergents better, meaning you can use far less detergent than before. But RainSoft water conditioners are no secret. Since 1953 we have been providing better, cleaner water to households and businesses around the world. Water softeners and conditioners go far beyond brighter, softer feeling clothes. 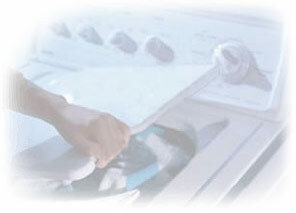 Conditioned water also helps keep clothes in better condition for a longer period of time. It also helps keep home appliances free from mineral and contaminant build-up that causes normal wear and tear. Rainsoft conditioned water creates a more powerful sudsing action, so you can use up to 50% less detergent with each load.